Why are nearly half a million students reading Storyworks Jr.? The first step in a learning journey begins with a spark of curiosity. Our fascinating, important stories ignite a sense of wonder, whether it’s in nonfiction, fiction, drama, poetry, or a surprising text pairing. Every curious student deserves access to our stories, including struggling readers and English language learners. Differentiation tools like leveled articles, exciting audio versions (also leveled), vocabulary slideshows, and award-winning "Behind the Scenes" videos build background knowledge and support all kinds of learners. 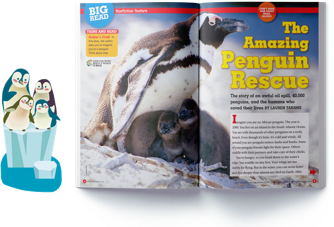 A 16-page Teachers’s Guide offers step-by-step lesson plans, close-reading and critical-thinking questions for every story, and inspiring ideas for scaffolded lessons and project-based activities. 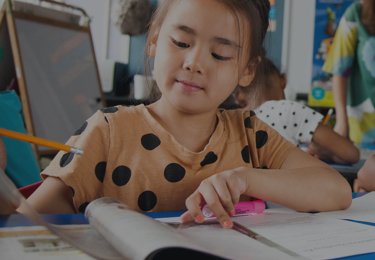 A vast selection of online activities and quizzes focus on key ELA skills most critical to building analytical reading, writing, and test-taking confidence. Because our teachers love Storyworks Jr. as much as their students do. Because we know the challenges of your state's rigorous standards. 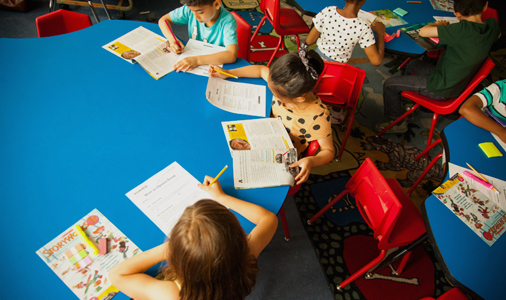 Storyworks Jr. fully aligns to English Language Arts state standards. Our teaching support package includes skills sheets, quizzes, and authentic writing activities. These promote critical thinking and boost students' reading and writing skills. 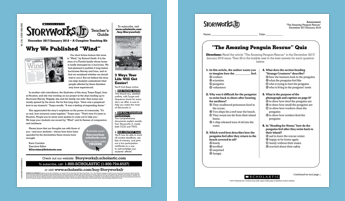 Take a closer look at Storyworks Jr.'s dynamic ELA resources. Narrative nonfiction, fiction, debates, and more make up our compelling, knowledge-building articles that support science and social studies. All content fully aligns to the Common Core, TEKS, and other rigorous state standards. All key ELA skills are covered and build analytic reading and writing skills. These include questions for higher-level thinking, plus ideas for whole-class, small-group, independent, and ELL instruction. 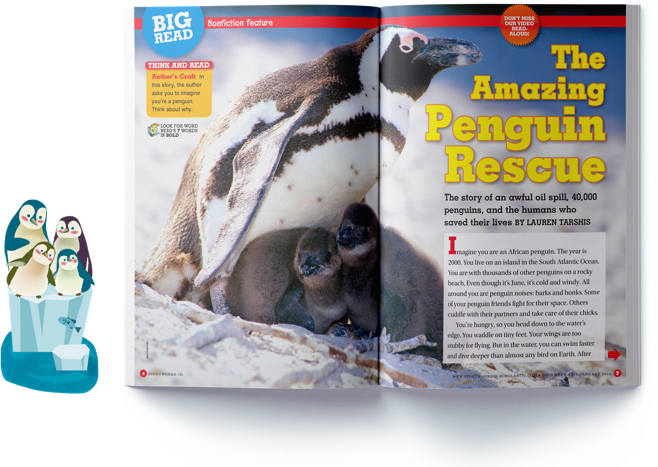 You’ll get stories at multiple Lexile® levels, plus videos, audio, vocabulary slideshows, and more.